Los Angeles, Cal. 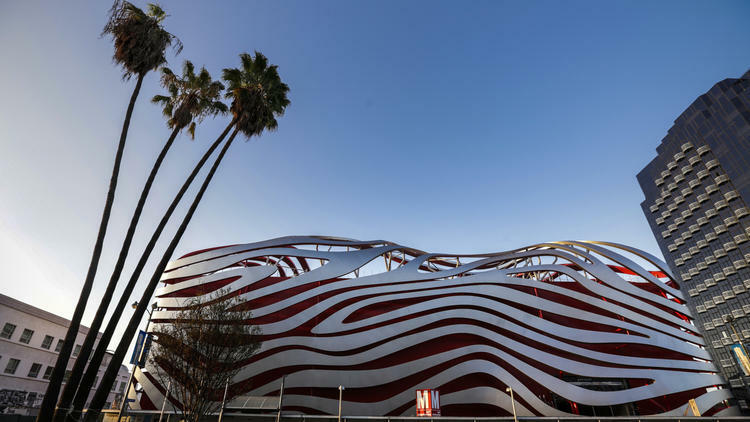 – The façade of the former department store on the corner of Wilshire Boulevard and Fairfax Avenue housing the Petersen Automotive Museum has been wrapped in sporty “hot-rod red” aluminum and caged by hundreds of shiny stainless-steel ribbons. Like a flashy sports car, it’s impossible to miss. 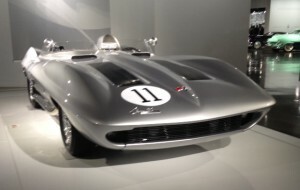 The original main floor exhibit entitled “Streetscape”, dioramas that were a mainstay of the museum for its first 20 years, has been replaced with soaring new galleries devoted to automotive artistry. Visitors can discover the most artfully-designed vehicles ever built, often regarded as “rolling sculptures” and explore how the automobile has been used as a canvas for artistic expression. The exhibits will be rotated and exchanged periodically much like in traditional fine art museums. Welcoming visitors at the entrance level Grand Concourse is the museum’s massive 1927/34 Rolls-Royce “Round Door” Phantom I, a multiple major concours winner, beautifully re-restored by museum founders and benefactors Robert and Margie Petersen. 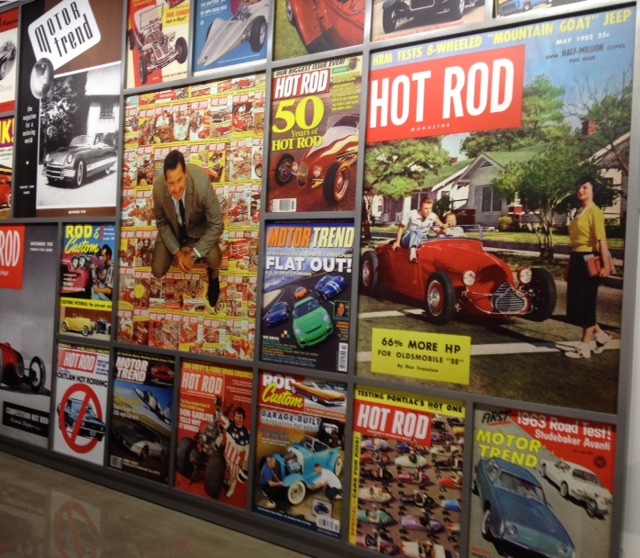 Mr. Petersen, founder of a publishing empire which included Hot Rod and Motor Trend magazines had one lasting vision to build an educational museum to honor the automobile. 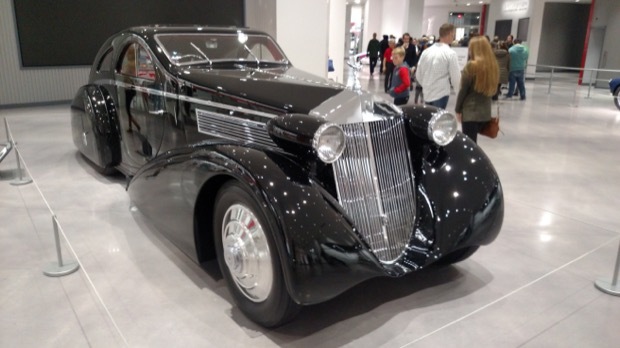 The Petersen’s initial $16 million gift made that possible, and the 300,000 square foot Petersen Automotive Museum opened on June 11, 1994 in partnership with the Natural History Museum of Los Angeles County. In March 2000, they formed the Petersen Automotive Foundation with an additional $25 million gift to make the museum an independent entity. Proceeding into the museum itself, the cavernous Grand Salon features “French Curves”, European coachbuilders’ artistic renditions, many on loan from Mr. Mullen including his nearly priceless Bugatti Type 57C Atlantic coupe and works by French coach building masters including Figoni & Falaschi, Chapron and Vanvooren. 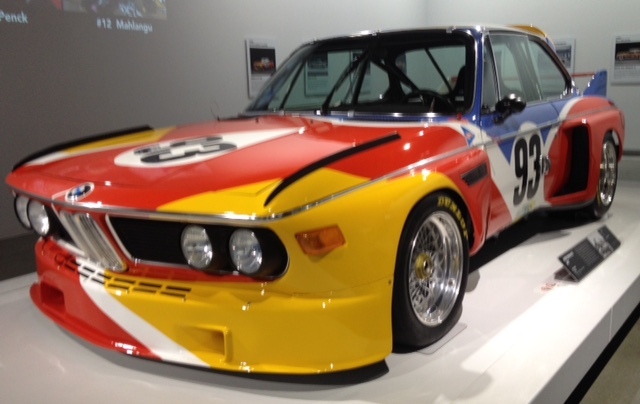 An adjacent gallery, also devoted to art and the automobile as a canvas for artistic expression, features BMW’s famous art cars adorned with work by talents such as David Hockney, Alexander Calder and Matazo Kayama. Also on the ground floor, the old Petersen had a ‘50’s drive-in style Johnny Rockets hamburger restaurant, to be replaced in the spring by a stylish new bistro run by the Drago brothers, owners of celebrity hangout Il Pastaio in Beverly Hills; the upgrade represents some of the broader changes made at the museum to portray a more contemporary look and feel. Twenty-five new galleries on three floors are packed with interactive technology telling three overarching stories about the automobile: its history, its industry and its artistry. On the second floor, visitors can explore the diversity of automotive design and technology and see cars that have been modified for speed and efficiency. The Industry floor is all about Pixar. This is where visitors can park the kids for the majority of the day. 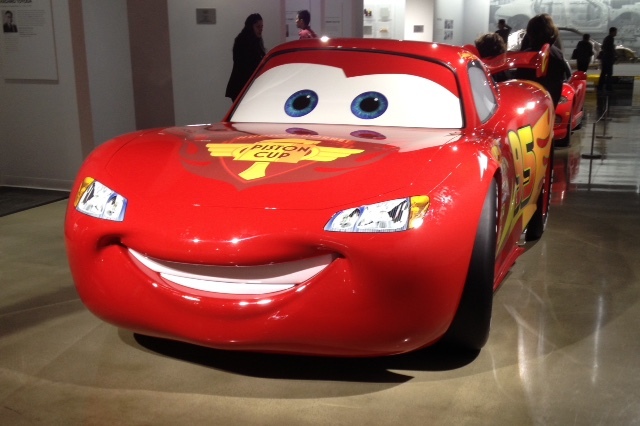 At the center of the gallery is the Cars Mechanical Institute, where after snapping a photo-op with a life-size Lightning McQueen, the crew can be unleashed into the Discovery Center. 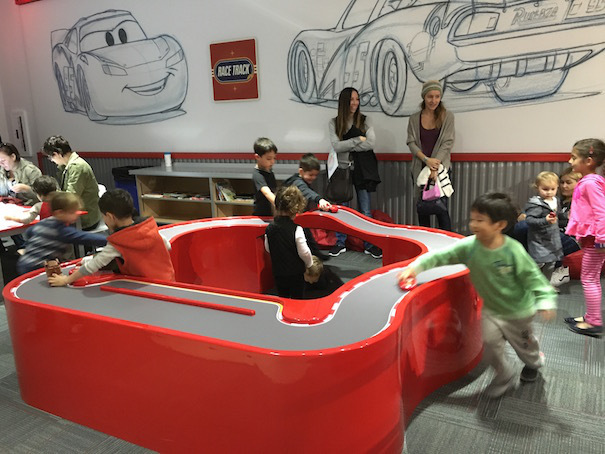 Little ones love racing toy cars around the racetrack play table, while the older kids can use light tables and tablets to draw and decorate cars from the Pixar films. 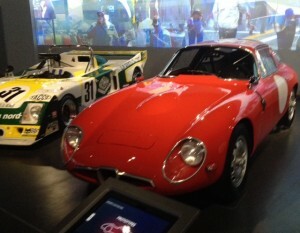 From there, visitors can head to the center kiosk and check out the CARSpad Experience. 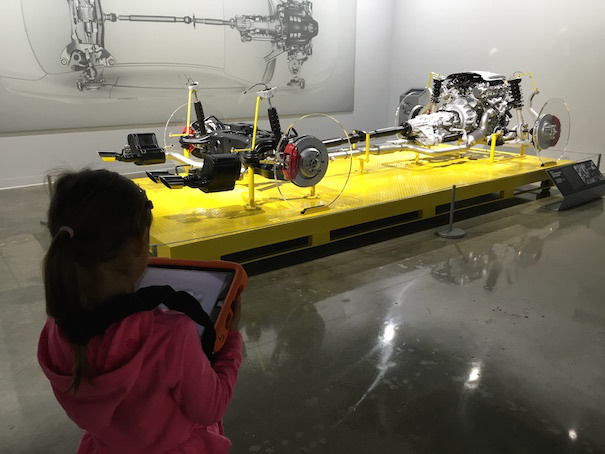 Junior car enthusiasts receive bright orange covered iPads that they can use to navigate their way around the gallery, featuring exhibits on Vehicle Manufacturing & Design and Custom Cars, as Mater guides them in designing their own virtual race car. It’s where little tech fans and young gear heads alike will thrill with the “how things work” learning adventure. 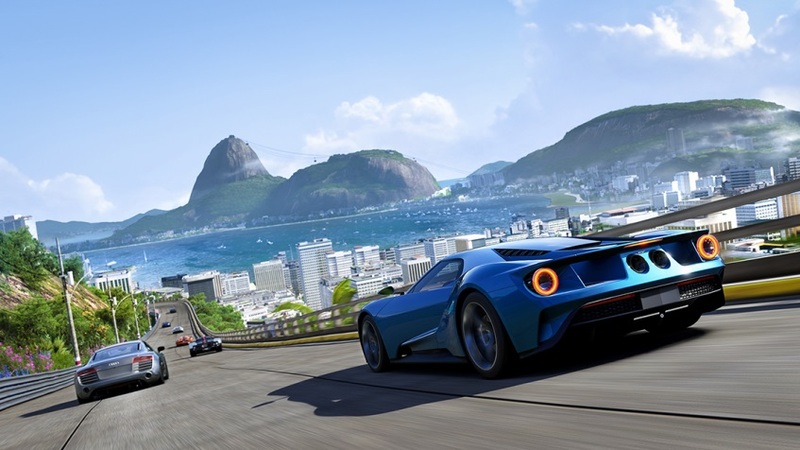 For kids in the tween and teen set (or just a video-game loving Dad), there’s the Forza Motorsport Racing Experience, an Xbox gallery equipped with 13 gaming simulators inviting guests to virtually race on tracks in Daytona, Le Mans and many more. Participants can race against the clock on the popular arcade-style game for a chance to get their names on the Lap Time scoreboard. Wait times can be up to 30 minutes and drivers must be approximately 5 feet tall in order to reach the pedals. First thing in the morning or late afternoon are the best times to go to beat the line. On the History floor, visitors can explore the multi-faceted history of the automobile and the love for it through the generations. 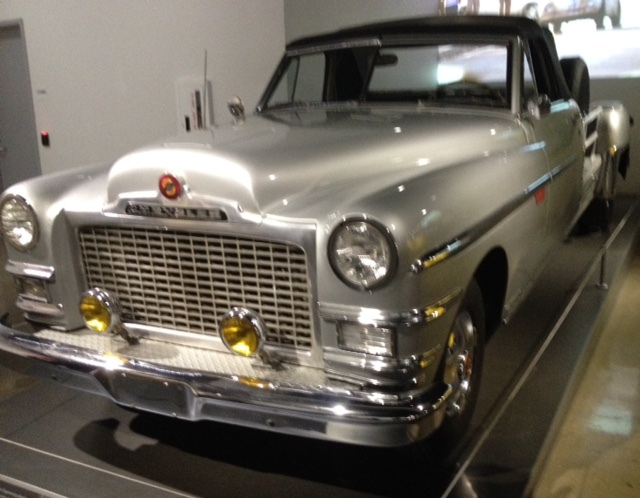 There’s the collection of Tinseltown cars that has been a main draw of the museum since it opened 20 years ago. “Mr. 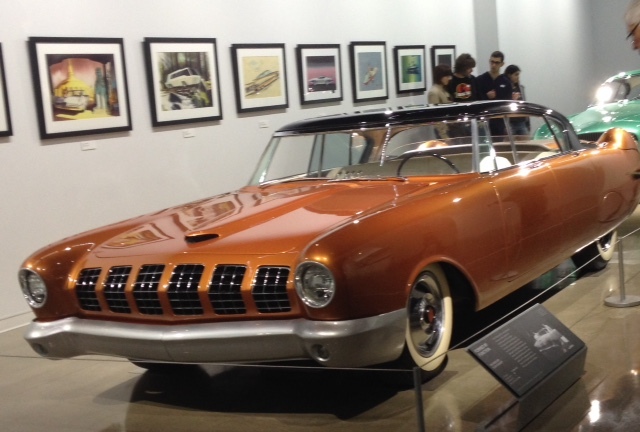 Petersen had a passion for Hollywood and automobiles,” museum collection manager Dana Williamson has said of museum founder Robert E. Petersen, who died in 2007 and whose love of cars can be traced to his founding of Hot Rod magazine in 1948. 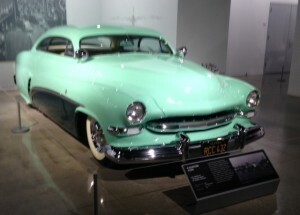 “He particularly liked the connection between Hollywood cars and the stars that owned them. 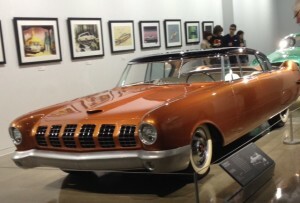 Visitors to Cars of Film and Television will see a 1951 Chrysler-built Camera Car, one of two given to the RKO movie studio owned at the time by Howard Hughes, Walter White’s dilapidated 2004 Pontiac Aztec from the TV show “Breaking Bad” and the 20-foot-long sinister black Batmobile piloted by Michael Keaton in the1989 and 1992 “Batman” movies. 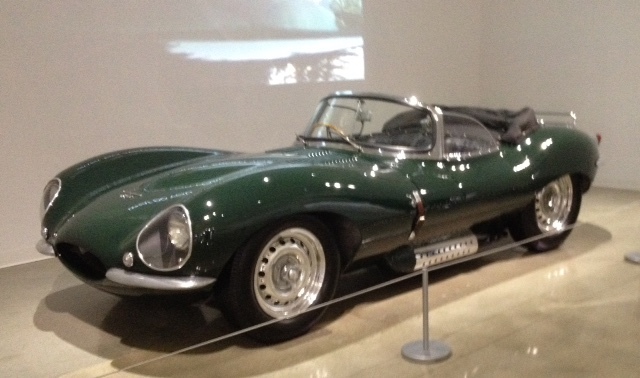 Other highlights include the 1961 “Herbie” VW Beetle, the 2016 Aston Martin DB10 featured in the latest James Bond film, “Spectre,” and Steve McQueen’s 1956 Jaguar XKSS. This last car is among the museum’s most prized acquisitions. Only 16 of the cars were built before the Jaguar factory had a catastrophic fire, and in 1959 McQueen implored his wife (the main breadwinner at the time) to buy it for $5,000. McQueen vehicles are commanding sky-high prices at auction, so the car is worth at least eight figures, the museum says. Also in the museum’s possession from Steve McQueen’s collection are a 1952 Hudson Wasp coupe, one of the sleekest American cars of its day, and two historic motorcycles, a 1927 Indian Big Chief and a 1912 Indian Single. These vehicles reside in the museum’s hidden basement “Vault”, which will be the subject of the second part of this article. When the old Petersen closed in late 2014, it had seven flat-screen TVs. It now has more than 160 types of screens, including 35 interactive touchscreens and an 8-by-20-foot LED billboard. Some of the 47 projectors play clips from films behind the cars that were featured in them. 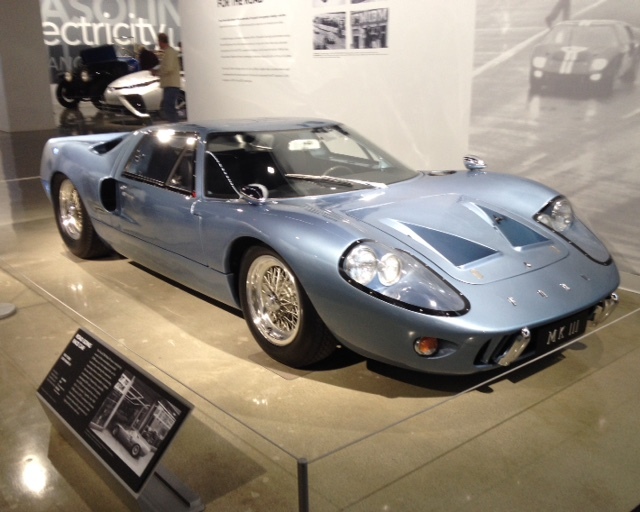 Museum managers and its interior design team traveled to 32 museums around the world to study automotive-related exhibits and find out which features best resonated with patrons. Education and outreach became a big part of the museum’s mandate which is to be the center of automotive thought in California and beyond.